As Vice President of Capital Markets and Investments, Mr. Lurie is responsible for sourcing new acquisition opportunities, and is an integral part of the Company’s real estate acquisitions, financing, and underwriting. Mr. Lurie has contributed to the acquisition of over $1.4 billion of gross asset value. After internships at Goldman Sachs and Merrill Lynch, Mr. Lurie started his career with The Northern Trust Company where he underwrote credit facilities for a number of office and industrial properties in Chicago. Prior to joining Coretrust, Mr. Lurie served as Vice President at Bank of America in the Short Sale/REO Strategy Group focused on real estate asset pricing. 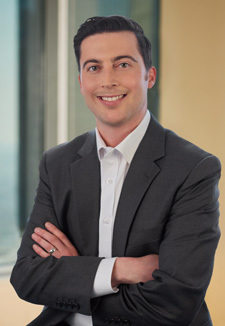 Mr. Lurie earned his MBA from the UCLA Anderson School of Management and his BA from Northwestern University.